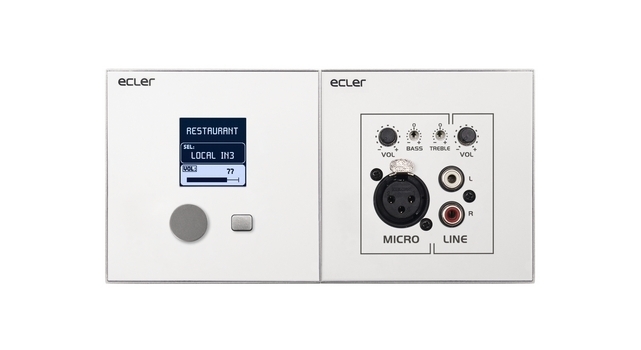 Ecler eMCONTROL1 is a digital control panel for the eMIMO1616 matrix with a wall format. It makes it possible to act as a zone control, enabling the user to have 3 functions : volumen adjustment/MUTE, selection of musical sources and EQ adjustment with 3 band tone control. 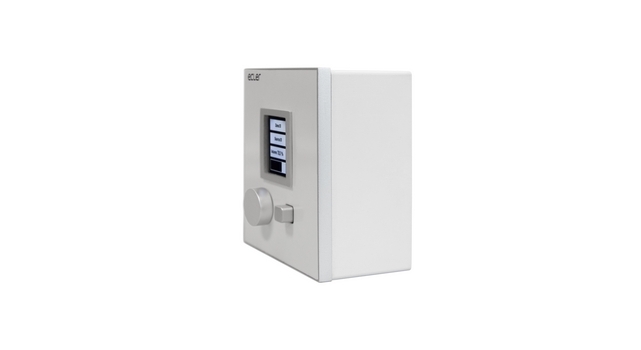 Coupled to a WPa type panel with an audio connector, provide remote control + balanced audio signal to the eMIMO1616, using only a single CAT5 type cable or higher. Universal surface-mount installation box included. Dimensions 86 x 38 x 86 mm.